There are certain non-negotiables in life. Take eating for instance. It’s what folks do rain or shine, happy or grumpy, with coffee or without. Of course, the negotiable part happens when making food choices. 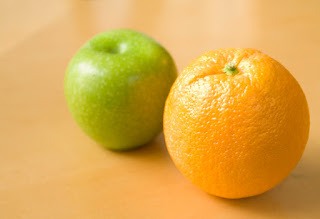 Apple or orange? Lettuce-wrapped or delectably-toasted-bun-wrapped? A measly 12-chip serving or the entire bag? Some people struggle with such foodie decisions. Probably most people. But for every dozen individuals who have the willpower of an oak, where no amount of cream cheese frosting can lure them away from their suspiciously green smoothies, there are dozens more - several baker’s dozens more - whose love language is frosting. This whole thinking-about-praying notion concerned Jen, for it made her wonder why she was so hesitant in her approach to God. Knowing full-well that God wants her to simply come to him - run to him - she reflected on why she struggled with being bold before God. Soon she realized these feelings had grown out of another hesitant approach, one from childhood. Jen remembers times of trying to connect with her mother while she cooked in the kitchen (like, every time she tried to connect), only to be met with an impatient parent who would snap, “I cannot talk and cook at the same time!” All of which left Jen wondering if she was a distraction, an interruption, an annoyance to her mother…and to God. Jen Goulard is in Christ. Her identity is found in a God who sees her as the exact opposite of distraction, interruption, and annoyance. He is one who desires, cherishes, and likes her, the one who is thrilled when her “thinking about praying” tendency quickly turns into chatting it up. After all, Jesus is the bread of life. Whoever comes to him will never be hungry again, making Christ the best foodie decision there is.